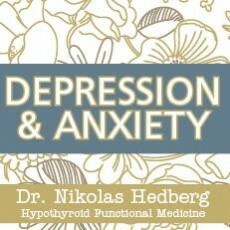 Chris Kresser Interview on Unconventional Medicine - Dr. Nikolas Hedberg, D.C.
Dr. Hedberg: Well, welcome, everyone, to the “Dr. 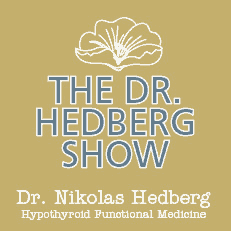 Hedberg Show.” This is Dr. Hedberg, and I’m really excited today to have Chris Kresser on the show, been following his work for a long time. 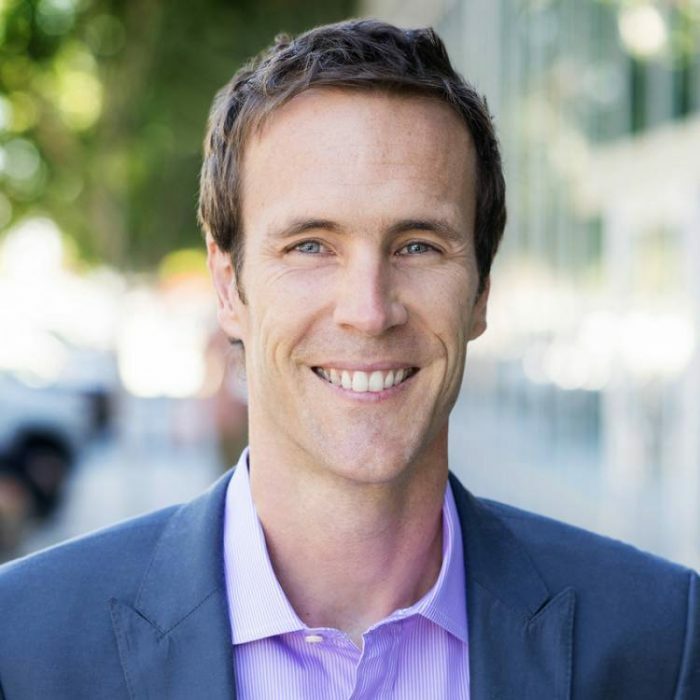 And Chris is the CEO of the Kresser Institute, he is a licensed acupuncturist and he’s also the co-director of the California Center for Functional Medicine. And chriskresser.com most of you who do any kind of reading on the internet have most assuredly come across Chris’s website for some excellent health information there. And he recently published a book called “Unconventional Medicine” as well as “The Paleo Cure” and this was a New York Times best-selling book. And Chris was also named one of the 100 Most Influential people in Health and Fitness by greatist.com. So Chris, welcome to the show. Dr. Kresser: Thanks, Nick. It’s a pleasure to be here. Dr. Hedberg: Great. So why don’t we jump in and just talk a little bit about conventional health care because obviously there are some big issues there with conventional medicine. And so what are the areas that you see in conventional medicine that really need to really be changed and really worked on to get people in this country you know, much healthier. Dr. Kresser: Yeah, I think the biggest issue with our current system is that it’s not set up to address chronic disease. It was…the conventional medical system really came out of a time and a place where acute challenges were the biggest issues that we face. So if you look at the turn of the 20th century top three causes of death were all acute infectious diseases: typhoid, pneumonia, and tuberculosis. And you know, conventional medicine today is remarkably effective for those kinds of problems. If you…I always say if I get hit by a bus, I definitely wanna be taken to the hospital. You know, we have pretty amazing medical technologies and interventions that allow us to even reattach severed limbs. You know, we’re starting to maybe be able to restore sight to the blind. And you know, if I get an infection, I’m grateful that I can, if necessary, take antibiotics that might save my life. So there have been some incredible developments in conventional medicine that have extended our lifespan and, you know, basically eliminated certain causes of death that were the scourge of humanity for many years. Unfortunately, that’s not the biggest problem today. Today we are suffering from an epidemic of chronic disease, in fact, seven of 10 deaths are caused by chronic diseases. Things like cardiovascular disease and lung disease and cancer and now Alzheimer’s and dementia at a growing rate. And our conventional medical system was really never set out to deal with those conditions because they weren’t as big of an issue at the time when the medical system developed. So now we have this huge burden of chronic disease and the conventional health care system really, its main approach is to prescribe medication. And these medications though they might be somewhat helpful in addressing the symptoms of these diseases, they almost never address the underlying causes of chronic disease. And that’s why we see the rates of these conditions just continue to rise each year. Dr. Hedberg: Yeah, we had a major overhaul to our health care system, but it was just sort of a different way to pay for the same model. Dr. Hedberg: So that aspect is disturbing, you know, we can find a lot of different ways to pay for health care and have a new system. But I don’t really think that that’s going to improve the health of Americans at large so. Dr. Kresser: That’s such a great point and I wanna stop there for a second because it’s one that a lot of people don’t realize. And it’s so disappointing to see all of these debates about health care, that really are just about rearranging the deck furniture on the Titanic as it sinks beneath the ocean. You know, that’s really the best way to think about it. And don’t get me wrong, it is important to make sure that people have care and that they need like in those situations like I mentioned. If you get injured or you have an acute emergency care situation and that requires treatment. If someone’s type 1 diabetes and needs insulin, we have to provide that kind of care. But we also have to recognize that that’s not going to stop the rising tide of chronic disease. And it was disappointing in all of the discussion and debate on health care to not see that acknowledged and to not…you know, the elephant was in the room and nobody was paying any attention to it on either side of the clinical aisle. And I think we really need to change the conversation about that which is what one of the reasons I wrote my last book on conventional medicine. Dr. Hedberg: Right. So like you said, so conventional medicine does really well with acute care but chronic illness is really the big issue. And it’s obviously, very expensive lowers quality of life, a lot of people don’t have access or answers to alternatives. So why do you think chronic illness has become such a big problem in our country? Dr. Kresser: You know, that’s a long conversation I’m happy to go in as much depth as you want to but I’d always like to start with the short version. Which is if you envision it like a mathematical formula. It would be genetic predisposition plus modern lifestyle equals modern disease chronic disease. So you know, we have our…human beings evolved in a completely different environment than we’re living in now. And evolutionary biology tells us that all organisms are adapted to survive and thrive in a particular environment. And if you change that environment faster than the organism can adapt genetically you get a mismatch between the genes in the biology of that organism and the environment. And that mismatch is the primary driver of chronic disease. If we consider a very simple example, you know, there are certain types of bacteria that have been discovered recently that live in near hydrothermal vents, you know, deep in the ocean or in volcanoes. And they have their whole metabolism and biology is set up for those environments and if you were to take that bacteria and drop it into like a shallow tide pool it would die almost immediately. And it’s not so extreme with us but it’s the same idea we evolved in an environment, you know, outdoor environment where we are physically active throughout most of the day. We didn’t sit for long periods. We lived in sync with the natural rhythms of light and dark we weren’t exposed to a lot of artificial light. We eat whole nutrient dense foods primarily meat and fish, wild fruits and vegetables, nuts and seeds and some starchy tubers. We live in close-knit tribal social groups. That was the norm for our more recent human ancestors and our distant hominid ancestors for more than 2.5 million years. And it’s only been in the last 10,000 years that we developed agriculture and started to settle down. And really, only the last 150 years that industrial, you know, industrialized civilization came about. And then only really in the last 40 to 50 years that we’ve seen massive changes in how we sleep. So, for example, today fewer than…about a third of people get fewer than six hours of sleep and that number is only 2% in just 1960. So the obesity epidemic is another example, it’s 40% of Americans are obese now and that number was I don’t remember the exact statistic offhand but far lower just even 30 or 40 years ago. So I think it’s this growing mismatch between our modern environment and what our genes and our biology are really optimized for that is driving this epidemic. Dr. Hedberg: Right. And we’re not very well prepared for it, it’s come so fast. And so many issues, you know, come up with that regarding climate change and water availability, the future of that, just many things are gonna tie in. I wish I could be really optimistic about the health of everyone but it’s difficult. So let’s get into functional medicine let’s try and focus on some solutions here. And I think most people listening there’s definitely a lot of functional medicine practitioners listening. But also, a lot of people who some people who might not really know exactly what functional medicine is. So can you kind of give us an overview of that and how it could help the health of people? Dr. Kresser: Yeah, I like to start with an analogy, just to keep it really simple. If you imagine you have a rock in your shoe and it’s making your foot hurt and you go see a conventional doctor, they’ll probably prescribe an NSAID like Advil or a painkiller of some kind and that will certainly help your foot to feel better. But it’s not gonna obviously solve the problem which is the rock in your shoe. In functional medicine, we would, you know, ask you some questions and try to figure out why your foot is hurting and then, you know, we would find that there’s a rock in your shoe and the treatment would be taking off your shoe and dumping out the rock. So I like to use that analogy because it really emphasizes the essence of functional medicine which in my mind is treating the underlying causes of disease rather than just suppressing symptoms. And that can make it different even in some types of holistic or perhaps integrative medicine where, you know, you sometimes see still a focus on symptoms, but instead of using drugs, using supplements or herbs or things like that to address the symptoms without really thinking about what are the core underlying processes that are driving the manifestation of these symptoms. And that’s really what I think the power of functional medicine is about. And to be clear, this is not exclusive to functional medicine, many traditional medical systems like Ayurveda and Chinese medicine have been oriented around this for many years, thousands of years in some cases. I think what’s unique about functional medicine is that it combines that holistic view of the body and that root cause approach with modern laboratory and diagnostic testing. So you kind of get the best of both worlds there. Dr. Hedberg: Yeah, like the analogy of the rock in the shoe. The one that we were given in school was the check engine light. And you can go and get your car actually fixed and have a mechanic look under the hood and figure it out. Or you could just remove the Check Engine Light Bulb. Dr. Kresser: Put some tape over, duct tape over it, right? Dr. Hedberg: Yeah, right, yeah, just put some tape over it. Dr. Kresser: That’s a good one too. I like that. Dr. Hedberg: Yeah, so I’m glad you’re here because I’ve been having, you know, some difficult conversations over the last few years. Something I’ve been thinking a lot about is some of the issues with functional medicine and I’m really interested to get your perspective on this because it’s something that I think we need to reconcile. And before I ask the question, I wanna preface it by saying that I’m mainly interested in being better at what we do. And so one of the issues that I see with functional medicine that needs to be reconciled is the fact that, if you take one patient say with Hashimoto’s or any kind of chronic illness. And they go to, let’s just say they want to 10 different highly seasoned functional medicine practitioners. You’re really not going to get…there’s gonna be some overlap and some similarity but there’s definitely going to be a lot of differences there. And it could be all the way down to how many grams of fish oil they use, you know, one might use 1.5 grams or 3 grams or 6 grams and then the other might use you know, a certain dose of vitamin D. And then the next might use fairly similar diets but there could be some variation there. And so this is something that I’ve been struggling with the last few years and just trying to figure out how we can do better and somehow figure out more standardization across the board. So is this something that you think about or do you think that’s too reductionist? Because it’s hard to evaluate the whole treatment plan when there are so many things that you’re doing at once. So what do you think about that question? Dr. Kresser: Yeah, absolutely. I think there are a lot of challenges with functional medicine and that doesn’t necessarily alarm or concern me because medicine is complex. It’s not an easy nut to crack, so to speak, if it was, we would have figured it out by now. And you know, some of the strengths of functional medicine and the things that make it…that gives it advantages compared to conventional medicine can actually also be disadvantages when you are talking about scaling it to the level that it needs to scale to in order to be accessible to, you know, 300 million plus people in the United States and also worldwide. So there’s a tension there because, you know, one example would be the principle of treating the patient and not the disease. And you were alluding to this in your question where one of the key differences between conventional and functional medicine is in functional medicine, we really seek to individualize treatment based on the patient’s unique factors, their genes, their gene expression, their current health status, their lifestyle, their goals. And if you consider, for example, 10 patients with inflammatory bowel disease or ulcerative colitis or Crohn’s disease, in a conventional model, they would all be treated similarly because their focus is on the disease that they have, not who they are. Whereas in functional medicine, we might recognize that in a few of those cases the primary driver is autoimmunity and perhaps diet that is triggering that autoimmune disease or the presence of certain environmental toxins that are dysregulating the immune system. And we might take specific steps to address those underlying causes in order to resolve the signs and symptoms of Crohn’s or ulcerative colitis in those patients. However, there might be a few other patients, you know, in that group for whom undetected parasite infections or disrupted gut microbiome is the primary driver. And so they might get a slightly different treatment than the ones for whom diet or toxins were the primary drivers. So that’s really what makes functional medicine unique and powerful but the problem with that as you pointed out is it can lead to different clinicians doing different things. It’s very hard to study functional medicine in a research context for that reason because, you know, the double-blind, placebo-controlled randomized trials that are considered to be the “gold standard” of medical research, are predicated on the idea of just changing one factor typically. Either usually adding…you know, having a drug versus a placebo. And as you can imagine, it’s impossible to do that in functional medicine because we are not just changing one factor and we’re really individualizing the treatment. So having said all that, I do think that we…there are ways to design research studies that can be effective. Mark Hyman at the Cleveland Clinic’s Center for Functional Medicine is working on this now. One of the things that they’re doing is they’re comparing functional medicine intervention to standard care. So they’re not trying to just compare single agents like one drug, they’re saying, “Let’s have this group of patients go to, you know, conventional practitioner and get the standard care for this condition.” So for diabetes, they might get metformin or other medications. “And then let’s have this other group of patients go and see functional medicine practitioner who’s you know, doing the functional medicine way of individualizing treatment and then let’s compare the results at the end of that period. And that I think is a better way to go because it really compares real-world scenarios. Someone going to a conventional doctor or someone going to a functional practitioner who has that perspective. Dr. Hedberg: Yeah, because you’ll see that a lot in the functional medicine world, you know, the labs that are used can be very different. 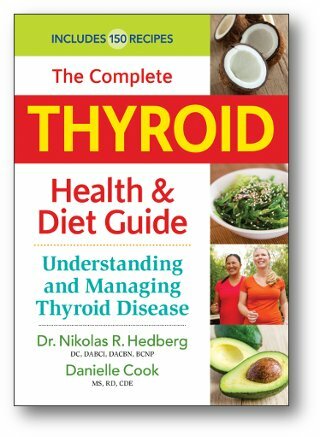 Dr. Hedberg: And practitioners will say, “Well, you know, I just get great results with this, or you know, I just feel more comfortable using this particular test over that.” And it’s the same thing with supplementation and certain diets and things like that. So it’s like I said, it’s something I struggle with because I want us to be better than that. But I think you’re right, is just it’s going to take time for this to really come around. And you know, if someone sees you or they see me like you said it’s hard to pinpoint the things that are the most effective compared to is it everything happening all at once. So like let’s say I get a patient and I get them meditating, and you know, walking out in nature and improving their diet, taking a few supplements, you know, improving their sleep. It’s all these different things we can never really break it down to one thing what’s the most effective. Dr. Hedberg: That’s a study, like you said, I mean, how do you study that with when there are so many interventions at the same time. Dr. Kresser: Yeah, it’s very challenging and I mean, I think there are a couple different ways to approach that, one is or to interpret that or look at it. One is well, you know, from the perspective of reducing the global burden of disease and extending lifespan it doesn’t matter. You know, as long as they’re getting the result and the disease rates are dropping and people’s wellbeing and quality of life is going up and their life stand is extending, it doesn’t matter. On the other hand, it does matter because we wanna find out which of those treatments are most effective so that we can effective… We can scale them up and make them available to a wider number of people. And we can give people a sense of where they should be investing their time and energy in rather than just kind of using a fire hose approach. But it’s challenging because as I’m sure you have experienced, you know, for one patient it’s gonna be the walking in nature that really makes a huge difference. And yet for another patient, it’s not that, it’s actually treating their SIBO that has life-changing facts. And it’s this is where I think it will always be a bit of a challenge and an opportunity. In that you know, we are individuals we share a lot in common, very common genetics you know, where there’s less genetic variation between any two humans on the planet than there is between chimpanzees. And you know, we have some basic characteristics of physiology, anatomy you know, everything else that we share in common. But we also have some very important differences and different lifestyles, goals and all of that and those are affects what will play the biggest role for each person. And this is why I kind of shake my head when I see like, I’ve…you know, articles in a newspaper about how AI is gonna replace all doctors in the next 10 years. Good luck with that. I think AI is gonna make a big impact on medicine and I actually look forward to it. I think it’s gonna enhance my practice a lot but I don’t see AI replacing you know, the type of work that we’re talking about any time soon. I think it could potentially replace or at least have a huge impact on a doctor that is just diagnosing commonly you know, commonly seeing diseases and prescribing drugs based on those. Because it’s I think it’s relatively easy to predict…you know, create an algorithm for that. But with the level of complexity and personalization that we’re talking about here, not gonna happen anytime soon. 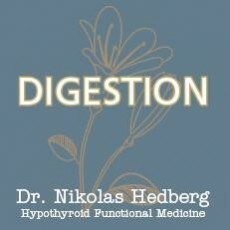 Dr. Hedberg: I agree with you it’s with all the flaws in functional medicine it’s still I think the best thing we have you know, now going forward so. Now, you brought up SIBO, so I do wanna ask you just, you know, a question about the GI and what you’ve been looking into recently. So the gut, you know, it’s I don’t know if I would say it’s en vogue right now. But it’s really at the forefront of functional medicine and a lot of what’s out there and alternative medicine and even conventional medicine. So is there anything that you’ve been reading or focusing on recently regarding the gut that you think would be of interest to people? Dr. Kresser: Yeah, I think so. 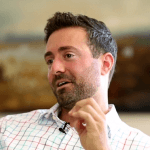 I imagine you have this experience, too, Nick, but over, you know, more than a decade of doing this, I have seen a lot of patients for whom the typical functional medicine treatments for SIBO and other gut issues are ineffective. And if I should mention that most of the patients I see are not typical patients they’re very complex cases. You know, often my patient is the one who’s seen 10 different doctors, you know, over 10 years and has not been able to find an answer and they make their way to me. So you know, I’m maybe not talking about the average patient off the street but nevertheless, these are folks who have done all of the herbal treatments, they’ve done the pharmaceutical treatments and they’ve done the special diets and they’re not getting their results. And you know, in a SIBO world, for example, a lot of the more prominent people who treat it have just come to see it as a relapsing, remitting condition. And you know, offer the idea that you’re just gonna have to take anti-microbial drugs or herbs for the rest of your life, you know, as the SIBO relapses. There’s something in me that just doesn’t accept that as an outcome and so I started to think more about, you know, what’s going on in those situations. And I think there are, again, once again, you know, probably not just one answer, I think it depends on the person. In some cases, there may be another issue present that is actually more underlying than the SIBO and the SIBO, in that case, is a symptom of that deeper problem. So perhaps it’s a chronic infection which is something I know that you talk a lot about, Nick. You know, maybe it’s the tick-borne disease that is having a kind of paralyzing effect on the gut and keeping it from, you know, recovering healthier or in the first place or keeping it you know, relapsing over and over again. Maybe it’s a heavy metal like mercury or lead that’s present that’s having a similar effect. Or maybe it’s nervous system dysfunction and this is what I’ve been thinking a lot about recently and looking into. The gut is really just one big bundle of nerves or refer to it as the second brain, the enteric nervous system. And I think in many cases, when you see these recurring GI conditions, the nervous system and a focus on the nervous system is the missing element. And we know now a lot about neuroplasticity, there’s been some phenomenal discoveries over the past 20 to 30 years in the field of neuroscience. That shows us that changes in behavior, thought, emotion, exposure to trauma like not just emotional or psychological trauma but microbial traumas like infections or chemical traumas like toxins or physical traumas like car accident, or you know, some kind of injury that leads to a brain injury, can cause lasting changes in the nervous system. They can change the structure and the function of the brain and the nervous system. And I think in some cases let’s say somebody goes traveling and they get a parasite infection and that infection is treated successfully so the parasite is gone. But the experience of that created a pattern in the nervous system and the gut the enteric nervous system that extends beyond the elimination of the original trigger. And essentially that person’s gut develops a pattern of malfunction that is lasting. And treating with, you know, parasites and drugs and herbs and stuff like that might provide temporary relief. But if that nervous system pattern is not addressed then that person will not you know, perhaps not fully recover. Dr. Hedberg: And you know, a lot of people they hear that word and they need to understand that immunology you know, about 75% of the immune system is the gut. So it’s really it’s like psychoneuroimmunology gastroenterology, I mean, that’s probably a better term for it. And I try to explain to patients it’s this connection with your brain and your nervous system and your gut and your immune system. And all these things that have happened to you as a kid, as an adult can really change that whole system and dynamic. And the regular listeners of my podcast know that I’ve been covering the ACEs, the adverse childhood experiences a lot over the last three or four months because this is I think it’s possibly the most overlooked aspect in chronic illness in adults at least in my practice and who I’m seeing. And I’ve just found myself I refer out to psychotherapist now probably more than any other professional. And we just get much better results when we’re really focus on those childhood traumas, adult traumas, and ongoing stress. So have you looked into that area much recently? Dr. Kresser: Absolutely, it’s something I’ve been aware of for some time and I think psychotherapy is a fantastic option in some cases. In other cases, I think some newer methods of working with the nervous system and exploring that, I might refer to it as applied neuroplasticity. Where you’re seeing through the lens of…you’re seeing the problem through the lens of like a limbic system injury or an actual change to the brain that’s below the level of conscious thought. You know, so it’s if we think about the example I used earlier of the parasite infection, in that situation there was an initial trigger and the nervous system mounted what was an appropriate response at that time, you know. So it’s a fight or flight response which the body uses to address immediate threats to our health and survival. But sometimes I think that fight or flight response can get stuck and then persist inappropriately even after that trigger is gone. And that’s happening at a subconscious level, that’s not someone who’s just necessarily even acting consciously in ways that are harmful to themselves or they’re not aware of it on a conscious level. And so I think sometimes talk psychotherapy may not be effective in those cases. And you know, other types of therapy, somatic therapies like Peter Levine’s work somatic experiencing Feldenkrais which works directly with the nervous system. Or some DIY systems like the dynamic neural retraining system DNRS Annie Hopper’s work that is really specifically oriented around reprogramming the limbic system and the nervous system can be even more effective in some cases for these types of situations. Dr. Hedberg: Yeah, I’m glad you brought up somatic experiencing, that is something that I refer out for quite a bit. And Peter Levine, if anyone is interested his book “Waking the Tiger” is an excellent read on trauma. And also, I like EMDR which is Eye Movement Desensitization and Reprocessing, that’s very effective. And those other therapies, you know, very effective as well and there are some great breathing techniques out there too in yoga nidra. And things like that can be very helpful as well with the limbic and the autonomic nervous system, so I hope that, you know, people listening will always take these recommendations to heart. Some people will get upset, you know, when you start to recommend these kinds of things because they think that you’re telling them that it’s all in their head. And you just you have to educate them that there really is no separation between the brain and psychology and the rest of the body and these traumas. Dr. Kresser: Yeah, I’m glad you brought that up because it’s a very important distinction to make. What we’re talking about is not psychosomatic. That was a perspective or a term that was used to diminish the reality of people suffering by doctors who… I think even before that psychosomatic term was used, the term that was used was hysteria. And it was a very patriarchal view is often the term applied to women who tend to suffer more frequently with these kinds of syndromes. And we’re not…you know, the idea there is that people are essentially imagining their symptoms through in a form of hypochondria or they are creating the symptoms by, you know, through their anxiety and worry and that’s not at all what we’re talking about here. What we’re talking about here is a nervous system, limbic system dysfunction, that is in the brain and the nervous system. And it then affects the function of everything else in the body. So you know, to your point, Nick, you can either say that it is all in your…every condition that we suffer from is all in our head, so to speak. Because there is nothing in the body that happens that’s not mediated by the brain and the brain is in our head, so in that sense, everything is all in our head because in neuroscience there’s a saying, “No brain, no pain.” So what this means is that neuroscientists know that if you interrupt the impulse from the area, there’s no such thing as an object of experience of pain. If you cut your hand, if neuroscientists are able to sever the connection or interrupt the connection between your brain and your hand, you know, they interrupt that nerve impulse, you will not experience any pain. And what this implies is that the brain is really running the show and this shows up in conditions like CRPS or Chronic Regional Pain Syndrome. So this is a condition where somebody becomes… Usually it starts with an injury, so let’s say somebody sprains their ankle or their knee. And I mentioned before there’s an acute response to that injury that’s appropriate for helping the body to heal. You know, that inflammatory, there’s swelling of the knee, there’s redness and that’s all a sign that the body is doing what it should be doing to help that injury heal. In CRPS, what happens is that the brain gets confused and even when there is no ongoing structural damage the brain continues to respond as if an acute injury is present. So that person will continue to experience swelling and pain and all the other things that characterize acute injury months or even years after that initial injury occurred. And it’s well understood even in very conventional settings that this is not a…this is a problem in the brain and how the brain is responding to, you know, to that experience. And it’s not, you know, there are psychological factors, of course, that affect the brain just like psychological factors affect every other part of the body. But it’s not seen as a psychosomatic condition, it’s seen as a nervous system or brain dysfunction. And this is what we’re talking about when I’m talking about SIBO or other conditions that are influenced or even primarily driven by this constellation of factors in the brain. Dr. Hedberg: Exactly. And I’m glad you…so you brought up women, most of the patients I see are women. And when you delve into the research, you can see some of the clear reasons why. And one of the things that’s really interesting is how women are affected very differently when there’s relationship stress, if there’s any loneliness. And one of the interesting things that I’ve read in the research is actually just lacking a meaningful or purpose in life increases inflammatory cytokines and disrupts hormones being lonely. And we’re seeing a lot of that in our society today. And loneliness it doesn’t just necessarily mean being alone, it can also just kind of having a lack of sense of community. And with everyone at least in America, you know, working so hard, long hours and things like that. People are, I think, a lot more isolated today than they were in the past like, you mentioned earlier. We were in these tribes of about 100 people, we had all that support and love and things to fall back on. And I think that’s also a part of it, what do you see that as a factor? Dr. Kresser: I see it as a huge factor. And there’s some really interesting research you may be aware of that one study found that social isolation was a greater predictor of early death than traditional risk factors like obesity, you know, body mass index, high blood pressure, and even smoking 15 cigarettes a day. So put it another way if you’re socially isolated, then you actually have a higher risk of early death than smoking 15 cigarettes a day. And when I explain, you know, when I say that to most people, they’re are absolutely shocked and blown away because I think most people, especially clinicians would never expect, I’m doing air quotes here “Soft social factor,” like isolation or loneliness to have as big of an impact on our lifespan than something like smoking cigarettes. So I believe it’s crucial and I think it is one of those areas of mismatch that I mentioned earlier where, you know, we are set up to be in a close-knit social group. And humans for most of our evolutionary history didn’t really know more than 150 people. But for those 150 people that we did know we had close connections with. And you know, we interacted with on a daily basis and we felt like we are part of a tribe or part of a group and we felt held by that. And today well, most of us live in isolated nuclear family arrangements, you know, where we might have our immediate family but we don’t have much support beyond that. And you know, we’re connected to many more than 150 people through social media, I mean, some people have tens of thousands of friends and connections on social media. But I think the research has been pretty clear that those so-called connections do not have the same impact on us that real, you know, live in-person human connection does. Dr. Hedberg: Yeah, I’m glad you brought up social media because that ties into this in… At least the papers that I’ve read so far, it’s pretty clear that this has a negative impact on mental health, depression, anxiety, just not feeling well after being on social media. And so I made a big decision in the beginning of 2018, I just felt like morally and ethically as a health care practitioner I had to delete all my social media accounts and also do that personally. It’s definitely been very beneficial doing that. And it’s just not a real connection, like you said, it’s a digital connection and it’s just not the same, so. Dr. Kresser: Yeah, I think there’s so many that we could go down a real rabbit hole there with this. There’s so many things, reasons for that and so many parallels and pitfalls there. I mean, what…we’ve been talking about this theme of mismatch, so I wanna just go into that a little bit here about why technology and smartphone addiction and technology addiction is so harmful and why none of us, you know, are immune to it. There’s, you know, human beings have a…we’re sort of hardwired to be technology addicts. And the reason for that is that we’re prone to distraction. And in a natural environment that inherent distractibility was a survival advantage. So if you imagine a group of humans early hominid ancestors who were like sitting around a fire, maybe they were, you know, doing something, work, you know, creating some arrowheads or something like that. And there was a lion or another predator stocking them. The human that was able to maintain, you know, really great focus and keep doing what he was doing and not notice the lion that was stocking him didn’t survive to pass on his genes. The one that was always scanning the environment and checking for, you know, and in essence very distractible was easily distracted by something moving in his peripheral vision or her peripheral vision, she survived and passed on her genes to us. And so that inherent distractibility was a real survival advantage in a natural environment. But today it makes us just incredibly prone to becoming addicted to these technologies which are designed intentionally to exploit our basic human vulnerabilities. And that’s been proven beyond a shadow of a doubt, these technology companies hire neuroscientists that are otherwise known as brain hackers. And there’s a lot of research that goes into how to optimize games and apps and the devices themselves to maximize our attention. Because the whole business model for these technologies is selling our attention for profit. The more attention we pay, the more these companies make by selling advertising on that attention. So I like to tell people you’re not the customer of these companies, you’re their product. That’s why they’re willing to give you these services for free because they have been selling your attention for a profit. So I think that’s important for people to understand because it takes it out of the realm of personal failure. Like there’s something wrong with me because, you know, I’m prone to overuse these devices the right time, I’m addicted. And there’s a lot of shame and guilt and blame and that gets mixed up in that, but the reality is if you’re a human being you’re prone to this. And you know, there’s nobody that can escape it. And that’s why it’s so important to create limits and to intentionally structure your life and your use of these devices in a way that recognizes the potential for harm and the potential for addiction for everybody. And that, you know, gives yourself a chance basically to not be overrun by these devices. You know, you don’t have to spend very much time on Instagram or any of these social media platforms to feel like you’re a loser and everybody else has a better life than you, and why? Because people are posting the best moments of their lives on these platforms. And if you just scan through your feed, you’re gonna see an artificial representation of people’s lives, not what’s actually happening but what they want you to see. And that I think is really harmful because it leads to a very narrow presentation of human experience and what is acceptable and what is real and normal. And that is I think what leads to the depression and anxiety in many ways that’s associated with excess social media use. Dr. Hedberg: Yeah, I just want to add a few things on that I’m glad you brought up some of those things you mentioned on social media. And that issue you were just talking about of comparison, it actually seems to affect women and young girls the most because teen suicide in girls is skyrocketing. And the social psychologists that I’ve read explained that women or young girls when they post on social media, they’re actually doing it for different reasons than the boys. They’re actually doing it because they’re awaiting the feedback from other people. And if the feedback isn’t good or if they don’t get enough thumbs up, it can be pretty devastating to them psychologically. Whereas the boys they’re not as concerned about how much positive feedback they’re getting. And at least these psychologists that I’ve read are saying that that’s one of the reasons why the suicide and the anxiety and the depression is much higher in the girls than the boys. Dr. Hedberg: There’s a number of many major reasons that we can get into beyond that as to why people should either just not use it or delete them. Dr. Kresser: Yeah, so I think there’s another interesting and morally and ethically questionable phenomenon here, which is that most of…many CEOs and leaders of these tech companies send their kids to Waldorf schools. Why is that interesting? Waldorf schools explicitly limit the use of technology in the classroom and even at home. If you send your kid to a Waldorf school, which for full disclosure I do, we do, you have to sign a contract that says you’re not even at home, you’re not exposing your child to screens and up to, you know, especially young children. So that’s problematic, right? The leaders of these companies are making a huge profit on these technologies and are actively engaged in getting people as addicted as possible and yet they are sending their kids to schools that limit the use of these technologies, so that doesn’t sit well with me, and you know, I don’t think it should sit well with anybody. Dr. Hedberg: Right, yeah, I mean, there was an article I read a few years ago that Steve Jobs who invented the iPad, he did not allow his kids to use an iPad, yet these are in many, many public schools now as devices that the kids are using. And so the inventor wouldn’t even let his own kids use it. Dr. Kresser: Absolutely. And Bill and Melinda Gates didn’t give their kids a phone until they were 14, I think. There is an editor of WIRED, there’s a long list of people who are in the technology world and they’re strictly limiting their kids’ use of these devices. And yet those companies are not out there, you know, warning people about overuse of the devices. Like you don’t, you know, if you go to buy a pack of cigarettes, you don’t see a…I mean, you do see a warning that says these, you know, “Cigarettes are known to cause cancer.” If you buy an iPhone or an app or Instagram, download the Instagram app or whatever, you don’t see a warning there that, you know, shows what the potential effect of that would be. And so the good news is I think there is some movement, you know, even among some of the technology companies. Apple, as in the latest operating system, at least took some steps to like improve the “Do not disturb mode settings.” And you know, so that people are not using their phones at night or leaving them in the bedroom and keeping them on which is a huge problem in terms of interrupting sleep. And you know, hopefully with more awareness and research that continually comes out about this stuff and of the effects that it can have, then we’ll see more of an improvement. Dr. Hedberg: Right. So why don’t we close by discovering a little bit of your work, in particular, on the ancestral diet and lifestyle, I know you’ve written a lot about this and some books. So can you give us kind of an overview of the ancestral diet and your focus on that area? Dr. Kresser: Sure, yeah, I think, you know, we’ve been talking about mismatch all along as one of the primary drivers of chronic disease and diet is certainly one of the most significant areas of mismatch. We, for the vast majority of our evolutionary history humans eat different types of meat and fish, wild fruits and vegetables, not the highly domesticated kinds that we have today. Nuts and seeds and some starchy tubers and plants, things like sweet potatoes and roots and, you know, plantains and cassava and stuff like that. And today, the average American gets more of 40% to 45% of their calories from ultra-processed foods. Not just processed foods, but ultra-processed foods, things like sugar-sweetened beverages and grain-based desserts, cookies, cakes, things like pizza, things like that. And that’s the I think, you know, when you…if you had to just pick one factor that’s really the primary cause of obesity epidemic, diabetes, cardiovascular disease, that would be it. So the ancestral diet our approach is really just about getting back to that basic template of foods that human beings have eaten for, you know, 99% of our evolutionary history. We know that our body works well on those foods, we evolved eating those foods. Those foods provide the nutrients, the 40 plus micronutrients that humans need to function properly. They are energy…they’re nutrient dense and naturally tend to be lower in calories than the highly processed and refined foods. They’re rich in fermentable fibers, which we now know are crucial to feeding our gut microbiota. And they don’t have the artificial colorings and flavors and all kinds of other additives that have been associated in many studies with harm. So you know, people I think have a lot of…there’s a lot of baggage around the paleo diet and a lot of misunderstanding about it. You know, what we’re really talking about here is just eating real nutrient dense food that human beings have eaten for, you know, the vast majority of our history. Dr. Hedberg: Right, yeah, you’re right about the paleo diet and the ancestral diet and what you’re talking about there’s…would you say it’s sort of a modified form of the paleo diet that has more options? Dr. Kresser: Yeah, I would say that it’s not about, like it’s not even a diet, I would say it’s just a way of eating. It’s just a way of eating nutrient dense real food. And you know, some examples even in my first book I said, you know, some grain like there’s growing evidence that grain and legumes consumption that our Paleolithic ancestors probably did consume some grains and legumes. They may not have been the focus of the diet but they, you know, were probably fall back foods at times when, you know, other foods were unavailable, or they may have been primary components of the diet for certain cultures. And it’s certainly true that many patients, in my practice, do better when they eliminate grains and legumes from their diet if they’re dealing with digestive issues or autoimmunity or other problems like that. But that doesn’t mean that the average healthy person who doesn’t have any of those issues is going to be made sick by eating quinoa and lentils. I mean, I think that argument in the paleo community is pretty preposterous. And there’s…I’ve never been able to find any evidence to support the idea that foods like quinoa and lentils. Especially when they don’t, you know, form the basis of the diet and don’t replace other more nutrient-dense foods are problematic if they’re well tolerated. So that’s…I really diverge from, you know, paleo advocates in that way. I think dairy products are another example of where, you know, these were not consumed by our Paleolithic ancestors, dairy consumption only really started about 11,000, 12,000 years ago. And then because at that…you know, there was probably a spontaneous genetic mutation that allowed lactase persistence which is, you know, most of our ancestors didn’t produce lactase which is the enzyme required to digest milk after weaning. Because mother’s milk was the only source of milk and we weren’t domesticating cattle and drinking their milk? And at some point, 11,000, 12,000 years ago, there was a genetic spontaneous mutation that allowed humans to start being able to digest lactose after they’ve been weaned. And since milk provided a source of calories and water in times of drought or sustenance, that mutation rapidly spread because of the survival advantage. And now, you know, about a third of people around the world are able to digest lactose in adulthood. And when you…what’s interesting to me is when you look at the research, you consistently see that full-fat dairy, not low-fat or nonfat dairy, but full-fat dairy is associated with a lower risk of obesity, lower risk of cardiovascular disease, lower risk of metabolic disease. So it’s also rich in nutrients like conjugated linoleic acids, vitamin A and vitamin D, at least in the case of grass-fed pasture raised animals. It’s the most bioavailable source of…one of the most bioavailable sources of calcium. So if someone can tolerate dairy and they’re not lactose intolerant, they’re not intolerant or allergic to dairy proteins, then consuming, you know, pasture-raised dairy in the form of butter or ghee, or cream, or yogurt or kefir which at the benefit of beneficial bacteria, there’s not much reason not to do that in my opinion though, you know, those are not paleo but I would consider them to be part of an ancestral template of foods, you know, in some cases. Dr. Hedberg: Yeah, it’s interesting, you know, like during the winter. I drink a lot of goat kefir at the Trader Joe’s has a good one that I like. And then I just don’t really feel like I wanna have it in the spring or the summer or even, you know, part of the fall, but for some reason, I just I feel good when I consume it in the winter and I have no issues. And so that’s like one example of something you were just talking about that can work for someone. Dr. Kresser: Yes, absolutely, and that’s another, I think key principle of an ancestral diet is seasonality. You know, hunter-gatherer tribe in East Africa was not eating foods that were grown in Mexico or China. You know, Native Americans, who lived on the central plains were not eating papayas. And you know, they weren’t even eating, in the winter, they weren’t eating summer fruits because there was no infrastructure that could ship those, you know, transport those fruits for thousands of miles. Now, I mean, this doesn’t mean, for me at least, you know, I don’t think you have to be a purist about this and never eat something that’s out of season. No, I would occasionally have a banana, you know, a part of a banana and a smoothie in the wintertime. But I do think that there’s a lot of logic behind trying to mostly eat seasonally because seasonal foods are foods that can be grown locally. And what we know about local foods is that they’re more nutrient dense than foods that are grown and shipped across the country. So even if those foods are organic, that’s something a lot of people don’t understand where if you harvest a carrot in California and then you put it in a dark truck and ship it for, you know, thousands of miles across to New York and then it sits on the supermarket produce aisle for three more days before somebody buys it, that carrot is gonna be far less nutrient dense than a carrot that’s grown, you know, at a local farm and then harvested a day before you buy it at the farmers market. And that’s one of the most important but under-recognized factors in terms of nutrient density. Dr. Hedberg: Exactly. So well, this has been great. 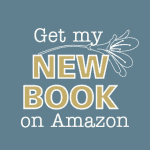 What is the name of your most recent book? Can you tell everyone? Dr. Kresser: Which, as I mentioned, is not really a paleo because if I could go back in time and change the title of that book I would. That was a disagreement I had with my publisher frankly and that’s one of my few progressed professional regrets at this point. Dr. Hedberg: I know how that goes with using a publisher you can’t always have things the way you wanted. So “The Paleo Cure,” and how would you like people to find you online? Is there anything you wanna put out there for people to look at? Dr. Kresser: Yeah, sure the main website is chriskresser.com. And I also have a training program for functional medicine practitioners and also a training program for health coaches that embraces the ancestral approach, the functional approach, and collaborative practice model that teams up clinicians with health coaches. And you can learn more about those at kresserinstitute.com. Dr. Hedberg: Excellent. Well, thanks again for coming on, Chris, I really appreciate it. Dr. Kresser: Thank you, Nick. Dr. Hedberg: And I’m sure all our listeners have gotten quite a bit of good information today. So for everyone listening, just go to drhedberg.com and you’ll see the podcast today and I’ll put any show notes or links that we talked about today in the podcast. So take care, everyone, thanks for listening and I’ll talk to you next time.